Top 10 Best Swimming Pool Slides for the Whole Family! Awesome Swimming Pool Slides for Home that Everyone Can Use! 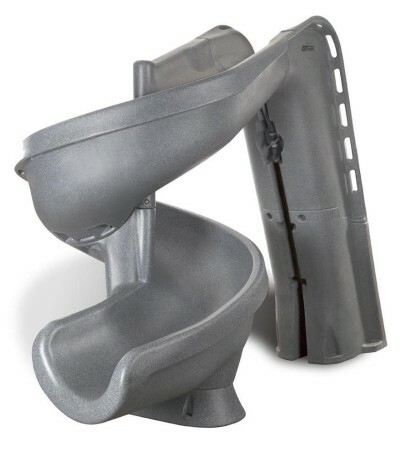 Are you looking for the best swimming pool slides for sale to have in YOUR pool this summer? Here it’s all about awesome swimming pool slides! Is there anything more fun for kids (and many adults as well!) to do on a hot summer day then to slide straight into a refreshing pool over and over and over again? I think a great swimming pool slide is the best pool accessory ever! Kids love that and they have a blast! 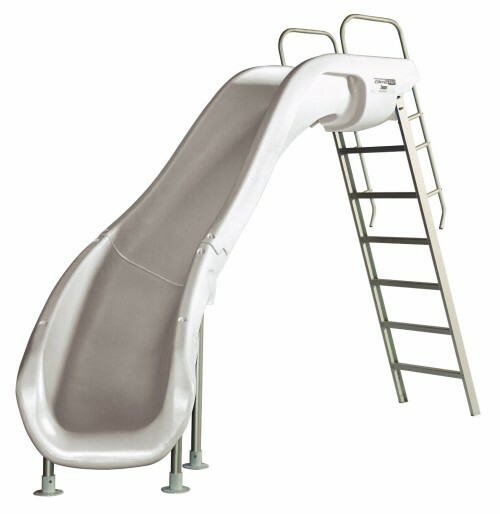 *This is an awesome and very sturdy pool slide that adults can also use! It supports up to 250 lbs at a time. My daughter used to love swimming pool slides when she was a child and she would spend hours just climbing those slide steps over and over just to have that amazing feeling of sliding down into a nice swimming pool! Let me take you to the splashing zone of the most fun swimming pool slides! Grab a towel just in case…. Awesome Swimming Pool Slide for Sale! I know you can see your kids climbing those steps already, can’t you? I can actually see myself there! It’s a hot sunny day…. There’s a beautiful swimming pool…. 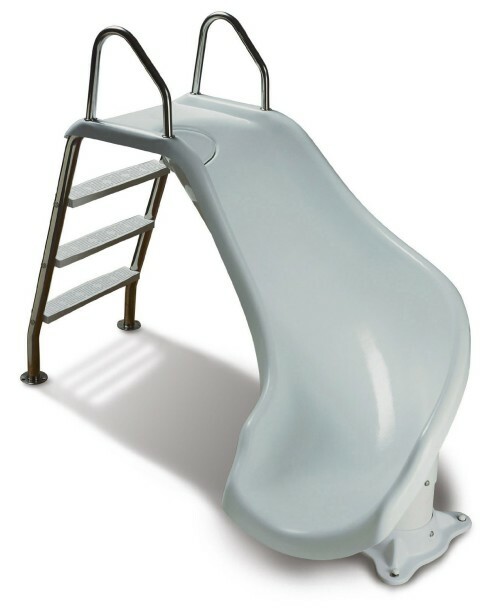 There is a fun slide…..
And down I go, with a 35 gallon of water down the slide per hour! And I’m ready to do it again!! I know you wanna do it!! If you are looking for the best swimming pools slides for home use that both adults and kids can use then you should try the G-FORCE pool slide! It supports up to 250 lbs! How do you have the most fun with a swimming pool? It spells ‘refreshing’ and water! 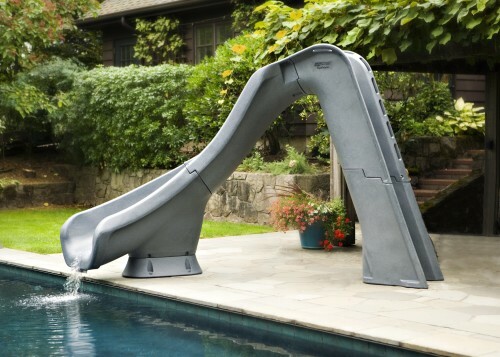 This is a great 5 stars pool slide to have at home for the kids and for all the grown-ups too! It supports up to 275 lbs of weight! -allows up to 40-Gallon per minute. Turbo Twister Right Curve Pool Slide: Thrilling FUN! 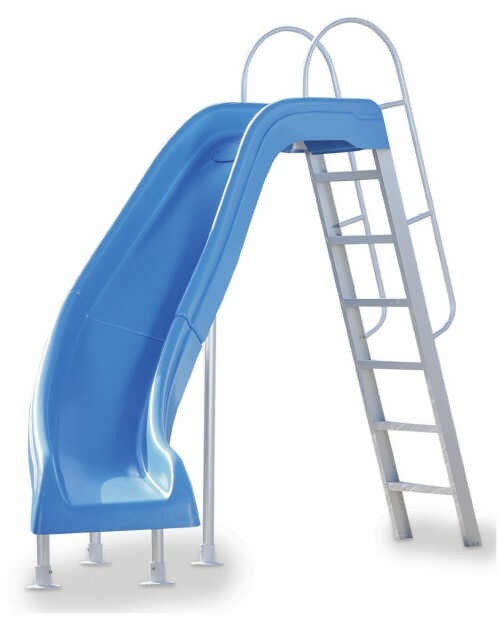 One of the Best Swimming Pool Slides for Sale! Can you see how much fun that little boy is having on this awesome and thrilling turbo twister pool slide? The fun curves will only add to the fun and thrills! It also accommodates adults up to 275 lbs!! Mom and dad can also go down the slide! It is over 8 feet tall!! 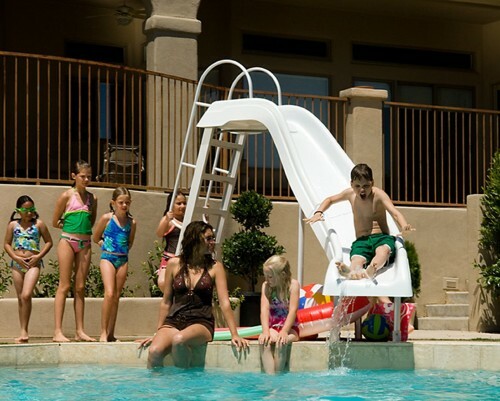 Happy buyers say this is FANTASTIC family fun and they absolutely LOVE this excellent pool slide! Now it’s YOUR turn to have fun! Best Swimming Pool Slide for Home! How inviting is this cool and very blue swimming pool slide folks? Don’t you just want to stop whatever you are doing and climb those steps? As I said before, there is nothing better than investing in a fun pool slide for the summer! -6-Feet tall and 9 feet long! X-Stream Complete 2 Turn Fun Pool Slide for Sale! Fun Pool Slides for Home Use! When you can’t decide if you want to go left or right while sliding down straight to your pool, get a double turn fun pool slide! I can almost hear the kids laughter as they hit the water with a fun ‘splash’ sound! I so want to join them!! Very fast and very fun 8 feet tall left curve awesome white pool slide for sale! But it will be worth your time! *You will also need to buy the deck mounts separately. Fun Pool Slide for Kids! Look at that cool and fun pool slide! This is one of the best swimming pool slides for the kids! It’s very strong and durable! It also fits almost any size swimming pools! Very compact and loads of fun! It’s almost like having your very own water park at home! That little boy is about to ‘splash’ in the cool water! Look at his excited screaming from happiness face! He is so having a blast! 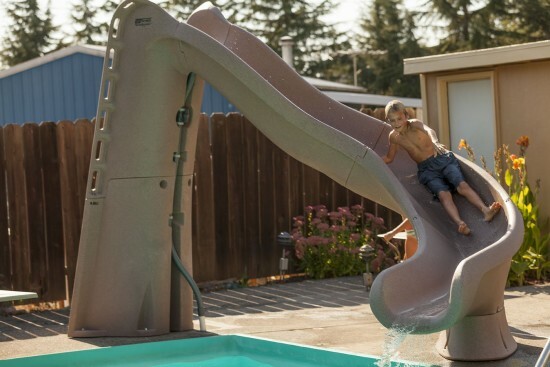 The Most Fun Swimming Pool Slides for Home! 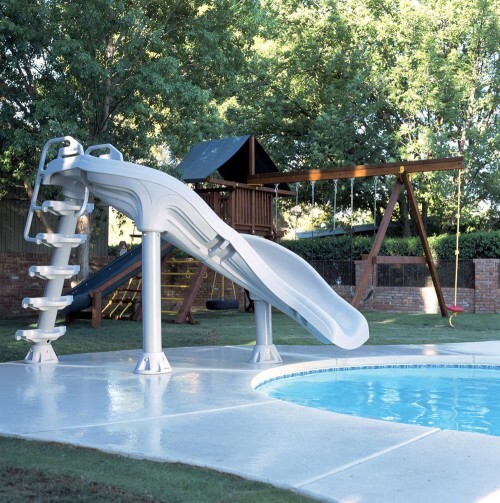 If you are looking for a fun white or blue swimming pool slide this one is for you! It is 11 feet long! It is super fast, ultra-fun and safe! Very easy to install, it comes with full instructions. -High flow Zoom Flume water delivery system for extra-fun! Affordable Small Swimming Pool Slide for Sale! If you are looking for a cute and fun compact size pool slide for sale this summer, then I think you are going to like this one! It is 3 feet high and perfect for the kids! Even though it’s small, it’s still sturdy! It can take up to 200 lbs! Overall this is a great pool slide! Best Inflatable Water Slides for the Backyard! Best Backyard Swing Sets for the Kids!